I just got back from an awesome trip with my brother Cory to the San Francisco bay area! We drove down (10-12 hours) and stayed with my older sister Darcy who lives in Oakland. It was such a good time, and I managed to really cram in a lot of experiences and fun times! We started our trip at the Outside Lands Music and Arts Festival that is held in Golden Gate Park every summer. I went to the first Outside Lands in 2008, mainly to see Radiohead, and I've wanted to go back ever since! This year I heard that the Red Hot Chili Peppers were going to be playing, and I knew it was time to go back. It was amazing. I saw so many great shows, and it was fun seeing all kinds of groups I hadn't heard before. I saw the Yeah Yeah Yeahs, Zedd, Yeasayer, Jurassic 5, Fishbone and a bunch of others including the Chili Peppers, Paul McCartney and Nine Inch Nails, who were the headliners. The feeling of being in the crowd and experiencing the energy and excitement of everyone was an amazing experience and it made me feel more in touch with the amazing human creation that is music. People find unity and perspective when they hear specific tones all laid out and layered together. From the beginning of humanity we've had music, and it's one of the things that is almost universally loved by all people. The chance, in 2013, to be in the experience of seeing music live for 3 straight days and feel connected to the people around me through that experience is something special. Plus it was just tons of fun! Of course, stuck at the festival inside Golden Gate Park all day, we were limited to the food choices from the vendors. There was actually some pretty good selection, though. I didn't stay 100% Paleo the whole time, but I was able to eat gluten-free and mostly grain-free, and got to try some nice lamb dishes from, a huge vendor who was butchering and cooking whole, locally raised lambs on site! 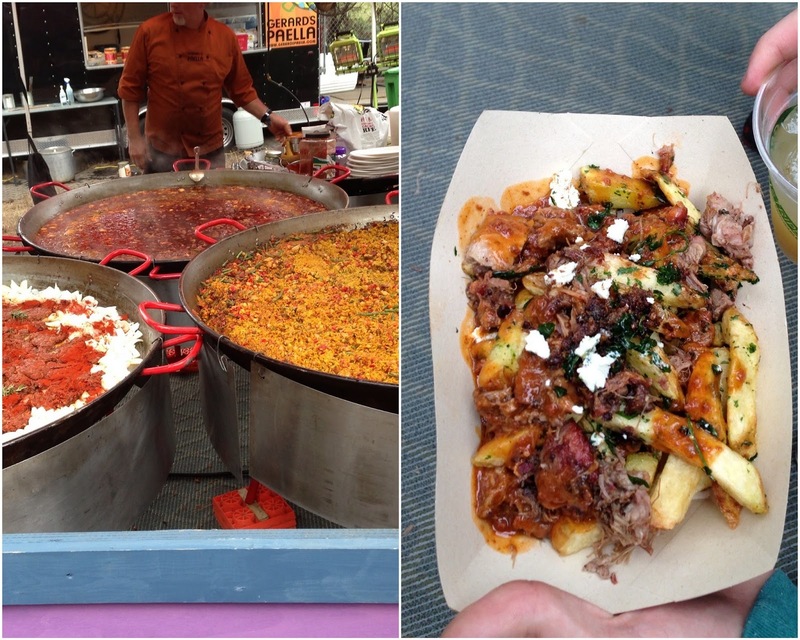 They had several different stations of lamb dishes including paella, curry and lamb poutine with feta and herbs. Amazing! After the festival was done my bro and I were pretty wiped out but after a day of rest I was ready for what was a huge highlight of the trip! 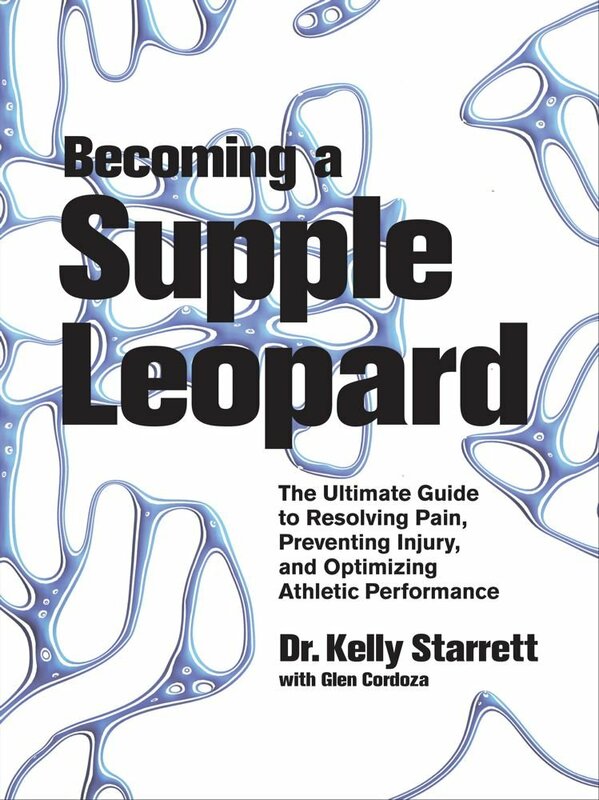 I signed up for a drop in class at San Francisco CrossFit where Kelly Starrett of mobilitywod.com and the book Becoming a Supple Leopard (which I got for my birthday!) coaches and practices his particular brand of physical therapy mixed with strength and conditioning. Here's the book cover so you get a visual. Definitely check this out. It's brand new stuff and a compilation of all of Kelly's most important ideas about mobility, strength training, technique and the problems with our current understanding of how our bodies are designed to move. I got to take a class taught by the man himself! 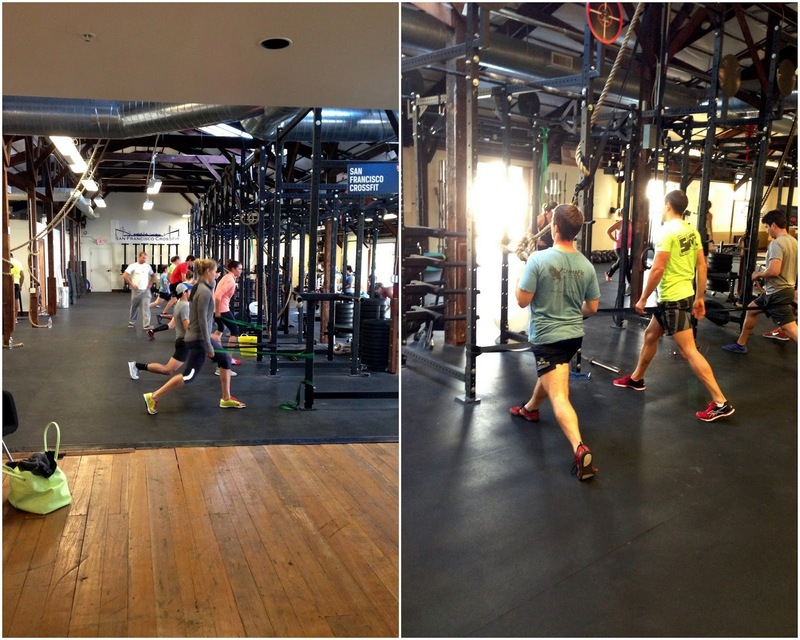 We did a variety of mobility exercises that you can see in the image below (from the class after mine) and then spent most of the class working on squatting technique and doing jump rope and toes to bar as an AMRAP. He gave me some pointers on what shoes I should get (in his words Nike Free's are a "Great running shoe, terrible lifting shoe") and helped me with my squat form. 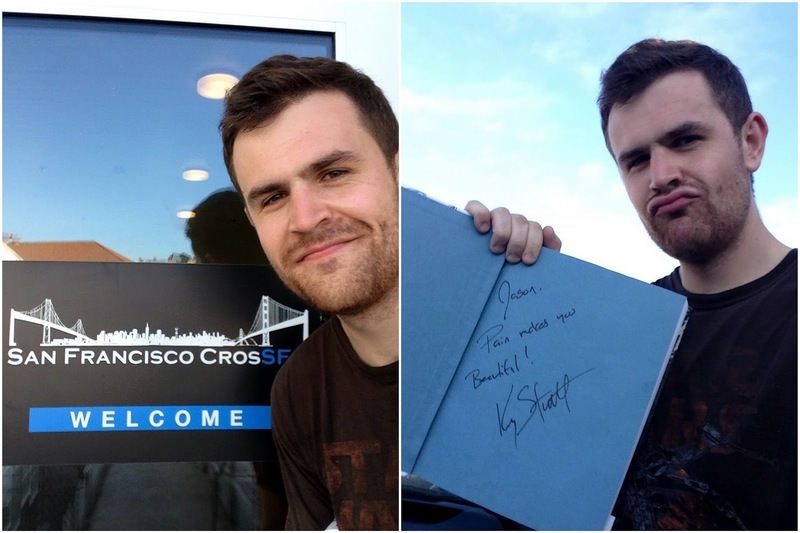 He even signed my book (pics below). All in all it was an amazing trip and well worth the long drive. Getting to spend so much time with family, going to concerts and getting a good workout in makes for a pretty awesome trip. I hope the festival lineup for next year is awesome so that I have to go again!! I'm glad you had such a productive trip! I loved what you said about the experience of live music and the connection with everyone around you- even though people say the music is heard better in digital format, there is just something indescribable and universal about sharing it with strangers and it being live. And how wonderful that you get along with your brother so well you can spend that much time in a car, and then also stay with your sister. Fun AND family time!